Avoid costly legal mistakes with differing site conditions and Contract Disputes Act Claims and Appeals. as federal government construction contract lawyers, we help you to capitalize on agency mistakes and to aggressively protect your rights when you are entitled to payment. With decades of experience, We protect the rights of our clients in ALL STATES. 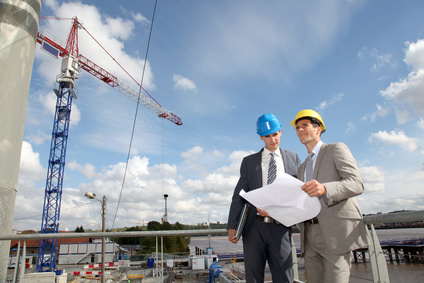 General contractors often find themselves challenging adverse contracting officer decisions regarding differing site condition, construction weather delay claims, other construction delays, and even agency denials of requests for equitable adjustments, and construction claims under the Contract Disputes Act (“CDA”). Learn what is a constructive change in government contracting. If there is not, then the appeals court has no jurisdiction to hear the appeals case. There have been several cases litigated on these very issues without even reaching the merits of the actual case. You want to minimize these situations at all cost. Our federal government construction contract lawyers and contract claims consultants can help. With law offices in Washington, DC and Colorado, the federal government lawyers at Watson & Associates LLC frequently help general contractors and small businesses across the United States to resolve construction contract claims changes & dispute resolution with the federal owner and avoid costly legal mistakes when in litigation with the federal government. The facts of every case are important to the outcome. Federal construction contractors, should communicate with the contracting officer as early as possible and keep a record of all communications. Avoid the costly legal mistake of taking direction from the contracting officer representative. This can be the kiss of death depending on the facts. Contract delay claims – When companies bid on federal jobs, it is common for the contracting officer to deny claims for legally valid delay claims in the contract agreement. The common dispute is whether or not there is a compensable claim, or whether the agency was required to give you extra time to complete the project. Government small business matters and construction claims – At Watson & Associates LLC, the law firm provides legal advice about issues that not only include traditional federal construction law but also where experience with small business issues can serve as an important part of the ultimate resolution. Our Federal construction contract lawyers are well-versed in areas such as affiliation, HUBZone requirements and contractors certified under the SBA 8(a) Business Development Program. Federal construction standards violations, litigation, and compliance with Contract Disputes Act requirements: When a contractor fails to correctly process claims, the contracting officer will often deny your request. After award, our procurement attorneys provide legal advice on FAR construction compliance, scope changes, differing site conditions and preparing timely Contract Disputes Act claims. Federal Miller Act disputes – When contractor contracts involve issues related to payment bonds and performance bonds, our contract claims consultants can provide the requisite legal counsel to provide cost-effective results. SBA size standards and limitation in subcontracting requirements. Both large and small businesses run the risk of violating the complex SBA size standards and affiliation rules. With a broad understanding of the common legal issues, our federal construction contract lawyers provide reliable legal advice and guidance about small business size standard violations, Subcontracting plans and filing construction contract claims and appeals. Federal construction laws — litigation and construction contract appeals – when the agency makes an adverse decision and alleges that you violated procurement laws, we prepare to handle to dispute on appeal to the requisite appellate court. As federal construction contracts lawyers, we frequently appear before the Civilian Board of Contract Appeals (CBCA); the Armed Services Board of Contract Appeals (ASBCA); GAO; SBA OHA and the Small Business Administration for size protest and affiliation matters, the US Court of Federal Claims (COFC) and the United States Court of Appeals for the Federal Circuit. See information on Preparing and Defending Government Contract Claims Under the Contract Disputes Act. To speak with a federal construction law litigation attorney about your pending case, call 1-866-601-5518. To speak with an experienced federal government construction contract lawyers, call Watson & Associates, LLC law firm toll-free at 866-601-5518 to schedule a FREE INITIAL CONSULTATION.